Callie Leuck | Write On! : Flash Fiction: Sneak Peek at my W.I.P. Flash Fiction: Sneak Peek at my W.I.P. Shadows crept across the wall of the forge as Lyddie turned her frustration to pounding out nails. You can never have too many nails, their master always said – not in Caulderia around market time, when everyone comes in from the surrounding country. It gave Lyddie something to do with her hands while Wilhelm and their master deliberated with the city men. What answer would they give the so-called Lord of Darkness and his army? He had entered the city at dawn with the Marksreign king, who reportedly called the man “my lord.” The Whitelands to the north had fallen years before, along with the desert tribes to the west. The Old Empire held out, but they had an easily-defensible mountain chain and a well-trained army. How could the merchants of Caulderia dare answer the man behind the genocide of the revered Elderin warrior clan, besides a bended knee? The negotiations were a farce. But there is nowhere left to run, Lyddie thought as she pumped the bellows. In the orange flames of the forge, she saw the pyre she'd lit for her grandparents years before – her last living kin, murdered. Blood sang in her ears – Avenge us, scion. Everything faded. 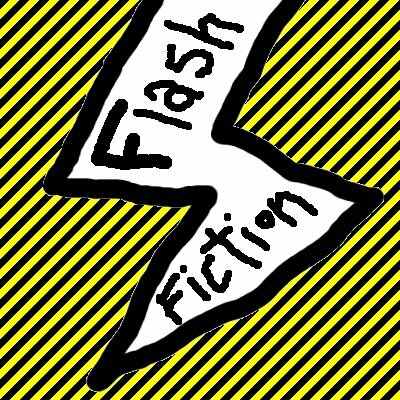 Rules of this flash fiction challenge: Write a short story/flash fiction story in 200 words or less, excluding the title. It can be in any format, including a poem. Begin the story with the words, “Shadows crept across the wall”. These five words will be included in the word count. About my piece: This is based on my oldest WIP, which I have never before shared widely. Some of my close friends will recognize this (I know you're out there.) but once again I am rewriting because, let's be honest, it needed a lot of ground work. Let me know what you think of this little blurb. Think of it as one of those little cover blurbs about the book. Not that I'm at the cover-blurb-stage yet, by a looooong shot. Note to Judges: I am not a participant in the Fourth Campaign. I am only participating in this challenge because I enjoy flash fiction.